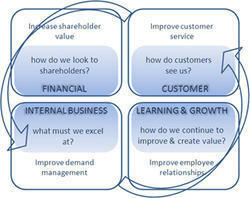 The goal of every business is to maximize shareholder value. Companies across many diverse industries are leveraging their supply chain to drive financial breakthroughs. However, it is surprising that a very few firms have a documented supply chain strategy that is aligned to its overall business strategy. Our sister concern, New India Sales Corporation is a prominent supply chain and distribution company in Pune city for over 35 years. Imagine the expertise we would have to deal with multi nationals, locals, retailers, wholesalers! In addition, our customized products and services for this industry vertical help you gain advantage over your competitors. Cost-Effective Analysis of Supply Chain – Providing cost effective analysis of entire supply chain management process. Process Audit and evaluation - Providing process audit and evaluation services to make processes effective. Banking on the understanding our personnel have received in the years, we are engrossed in the business of offering Supply Chain Service to our clients. Credited and valued due to their reasonable rates, these services are widely praised and appreciated amongst our clients. More to this, our adroit workers are rendering these services in the most planned manner. Agrawal Excellent Packway & Movers Pvt.Ltd. NAFARI in its endeavour has also started supply chain management linkage for food processing industry clients. In broader aspect food supply chain is made up of "Sourcing, Manufacturing, Warehousing, Moving and Selling"